Before an environment can be populated with characters, a set of models must first be acquired and prepared. Sometimes it may be possible for artists to create each virtual character individually - for example, if only a small number of individuals are needed, or there are many artists available to create a larger population of characters. However, for most applications that need large and heterogeneous groups or crowds, more automatic methods of generating large numbers of humans, animals or other characters are needed. Fortunately, depending on the context, it is not the case that all types of variety are equally important. Sometimes quite simple methods for creating variations, which do not over-burden the computing resources available, can be as effective as, and perceptually equivalent to, far more resource-intensive approaches. 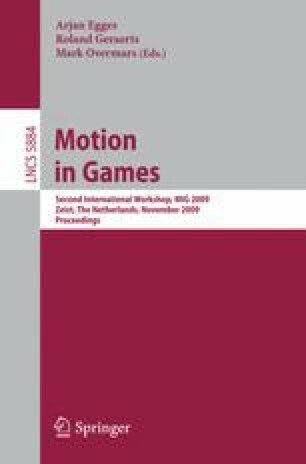 In this paper, we present some recent research and development efforts that aim to create and evaluate variety for characters, in their bodies, faces, movements, behaviours and sounds.